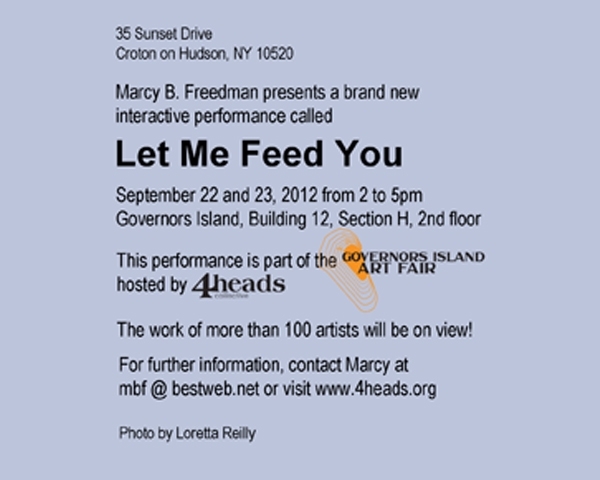 I presented this one-on-one, face-to-face interactive performance at the Governors Island Art Fair on two successive afternoons in September of 2012. 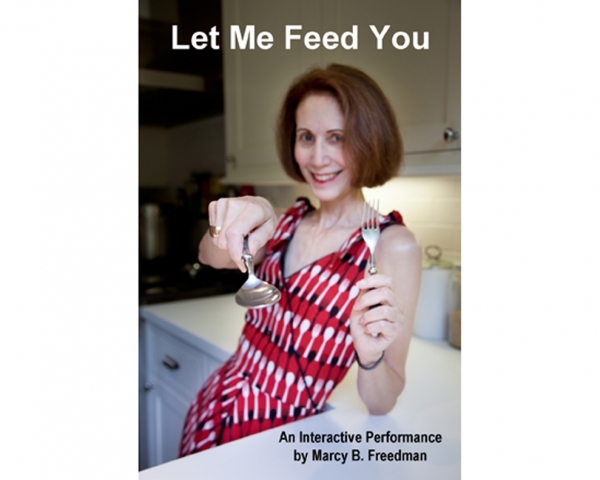 Each participant selected a snack — pudding or applesauce — which I carefully spooned into his or her mouth according to this plan: two spoonfuls were given with the participant’s eyes wide open, and two spoonfuls were given with the participant’s eyes shut. Then, I initiated a conversation. For example, I usually asked the person to describe the difference between being fed with eyes open and closed. I received a variety of answers to this question. (One woman stated that she was “terrified” when she had to eat with her eyes closed!) I also asked if any particular memories were aroused by the experience of being fed. Ultimately, I explained to each participant that my primary goal was to have a meaningful encounter with another human being in order to demonstrate the advantage of old-fashioned conversation as opposed to texting, emailing, or any other sort of “virtual” communication.